Perfect hot from the oven during the fall and winter, or cold the next day during the summer - this tart is super versatile and insanely delicious! Even better? You can make it all your own by adding roasted vegetables and spices of your choice - from potatoes to swiss chard/collard greens/kale, to roasted broccoli or cauliflower, go crazy! 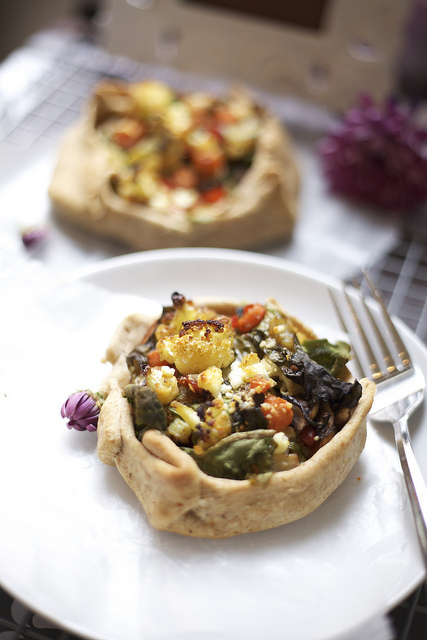 This super healthy tart is the latest and greatest way to eat your veggies!